Things have jumped into high gear with an early start in February March for Creston Valley real estate marketplace. The East shore has been a bit slower due to our extended winter and wet early spring, but with low prices relative to other lakes in the province, these should also benefit from buyers’ new-found enthusiasm. The interest in the Creston Valley has been a leap forward from the past couple of years. Buyers have apparently found our secret hideaway and are coming with their cheque books (or, in get with the times Lee ! modern terms – etransfers). Saleprices over the past couple of years have been steady with some modest increases in 2016 and 2017. 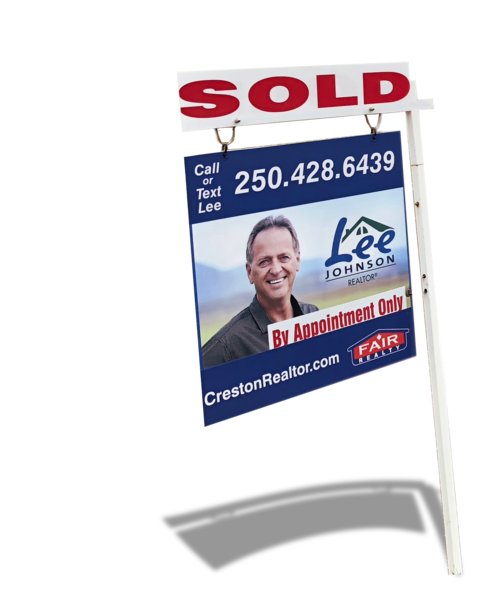 The Creston Valley has been standing in the wings waiting and watching housing markets all over BC soar and sellers reap the rewards. With other nearby regions like the Central and North Okanagan and West and East Kootenays seeing rising prices, and in many cases a very low supply of properties, the next best haven seems to be the Creston Valley. What took you so long? As locals we know and appreciate all the Creston Valley and East Shore have to offer but folks from other places out west of us seem to have had blocks in place (likely called the Kootenay Pass and Kootenay Lake Ferry) that prevented them from seeing our secrets. Retirees looking to escape the prairie winters and being comfortable with our small town Mayberry vibe, have kept coming, albeit in smaller numbers with the downturn in the oil industry affecting their plans. Those who can appreciate a simpler small town atmosphere with nature and abundance all around can’t help but notice us. According to recent MLS stats, the supply of housing in terms of months of inventory within the Town of Creston have dropped by more than half in March from 20 months (normal supply) to only 9 months (from 2017). For those not in the know, months of inventory basically means that if there were no new listings added, how many months would pass before all the existing properties would have sold. This is a big change for us. Those in the East Kootenays have also been out ahead of us with rising prices and declining supply, so with that situation all around us, it is most likely a change for the better for sellers who have been perhaps impatiently waiting to move elsewhere or downsize within our area. Sales in the Creston Valley to date are at up about 10% in numbers and sale prices are getting closer to listing prices. Listings that were overpriced according to buyers last year and lingered on the market, are now looking reasonable, even very attractive to buyers coming from other areas with higher priced offerings there to compare with. Supply is the current problem in various regions of BC forcing prices up with the demand being steady. Welcome to the club Creston Valley! Time will tell the tale, but with some warm weather close at hand and our head start on other areas with fields of green and budding trees happening, it looks like the real estate market for our area is about to spring forward! or check us on facebook.